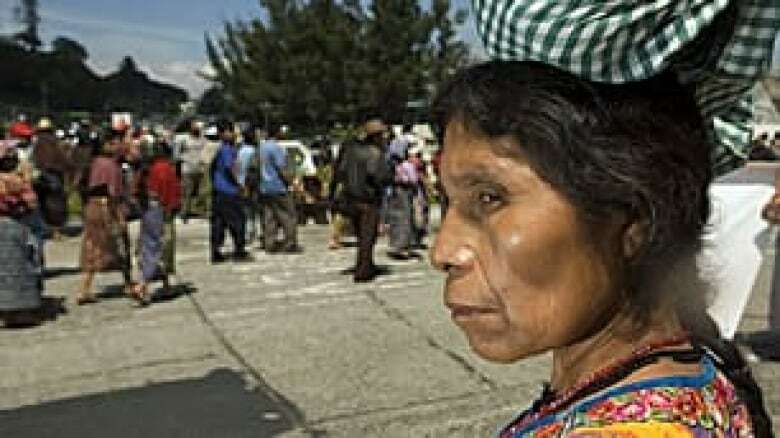 A Guatemalan woman has filed a multimillion-dollar lawsuit against Canadian mining giant HudBay Minerals, claiming it is responsible for the death of her husband. Angelica Choc filed the suit in a Toronto courtroom this week in the death of her husband Adolfo Ich. Her lawyer, Murray Klippenstein, said she is taking the action because HudBay Minerals and the Guatemalan government have done little to arrest an alleged company employee accused of killing her husband. The court case is an attempt to make Canadian companies more accountable for their actions abroad, Klippenstein said. Grahame Russell worked with Ich through his Canadian non-governmental organization: Rights Action. Ich and other Mayan leaders protested against the mining company for its forced evictions of families and for unresolved land claims. "This was a targeted killing of a well-known community leader," Russell said. On Sept. 30, 2009, Ich was hacked and shot to death — allegedly by a private security guard employed by Compania Guatemalteca de Niquel, a subsidiary of Manitoba's HudBay Minerals — in front of witnesses following a protest in El Estor. No one has been arrested for the killing. What happened to Ich would never be tolerated in Canada, said Klippenstein. "If this had happened in Canada or near Timmins and months later the murderer was still driving around in company trucks there would be outrage beyond words." This week Klippenstein filed a $12-million lawsuit on behalf of Choc. He said if she can't get justice in Guatemala, she will try to get it from Canadian courts. An official with the mining company called the lawsuit "misconceived" and "without merit." John Vincic said HudBay's own investigation found that none of the company's employees were involved in the killing. The case is expected to take years to work its way through the courts.